Worksheet on numbers for preschoolers, homeschoolers and kindergarten kids from 1 to 20. In the numbers worksheets kids will learn how to count by observing the objects and write numbers for preschool, kindergarten and early elementary. Printable worksheets on numbers for kids are available depending on the preschool and kindergarten math lesson plans activities. 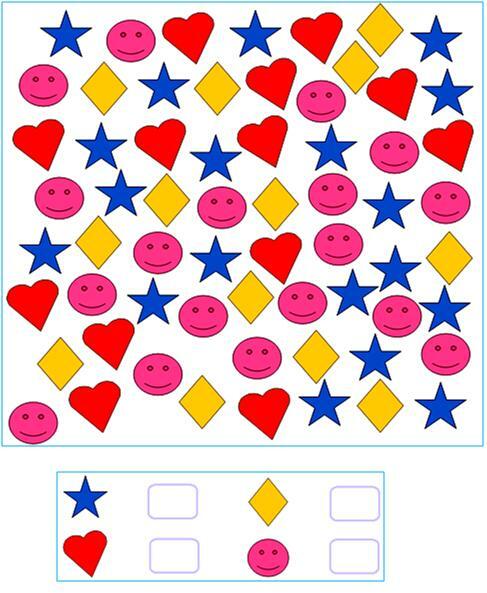 These counting worksheets on numbers will produce problems from the above picture where it asks the children to count how many objects are there in the group. 1. How many stars are there? 2. How many diamonds are there? 3. How many hearts are there? 4. How many smiley faces are there?